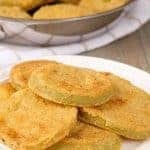 There’s something about the simplicity of a fried tomato that is undeniably delicious and although you can fry both green and red tomatoes, it’s the green variety that’s most popular. Made with a just a handful of ingredients, these cornmeal-crusted goodies are easy to prepare and a make a wonderful side dish to serve with simple entrées like oven-fried chicken and grilled pork chops. 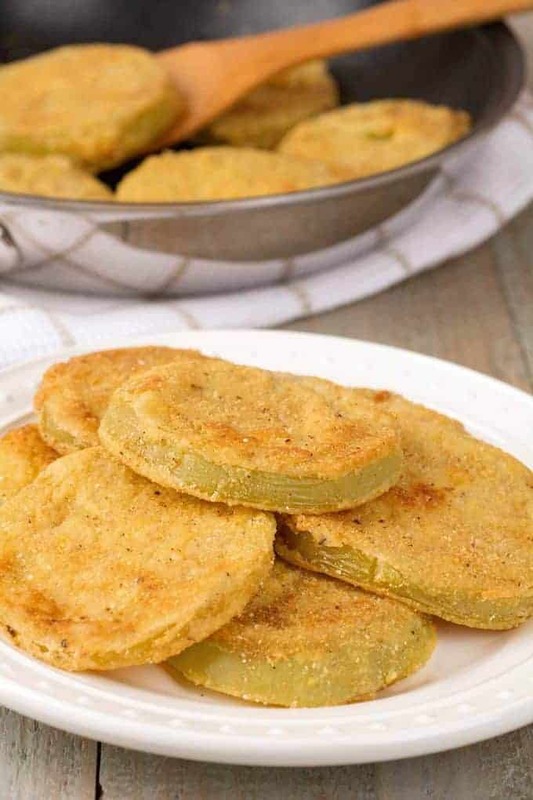 Golden, cornmeal-crusted fried green tomatoes make a delicious side dish to serve with simple main dishes like pork chops or oven-fried chicken. Core the tomatoes, cut them into 3/8-inch thick slices and set aside. Whisk the egg and milk together in a shallow dish (a pie plate works well) until completely blended. Combine the flour, cornmeal, salt and a few grinds of black pepper in another shallow dish and set on the counter next to the egg mixture. 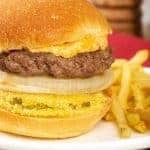 Heat about 1/8-inch of vegetable oil in a large frying pan over medium-high heat (350° to 375°F). Dip individual slices of tomato in the egg mixture and turn them once to coat. Let any excess egg drip off, then coat the them in the cornmeal mixture. 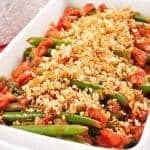 Add the tomatoes to the pan in a single layer and fry until the coating is crisp and golden and the tomatoes are tender, 1-1/2 to 2-1/2 minutes per side. 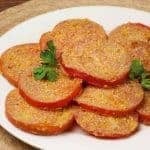 Transfer cooked tomatoes to a paper towel-lined plate, sprinkle lightly with salt and repeat the process with the remaining slices. Note: For best results, wipe out the pan with paper towels and add fresh oil for every batch. 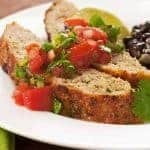 Once the tomatoes have been blotted on paper towels, you can place them on a foil-lined baking sheet in a single layer and transfer to a 200°F oven to keep warm. Don’t stack them because the residual heat will create steam and ruin the crispness of the coating.